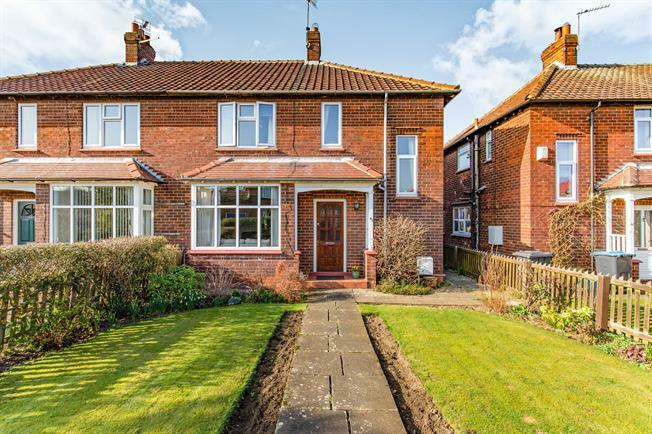 3 Bedroom Semi Detached House For Sale in Northallerton for Guide Price £265,000. Front entrance hall, with stairs leading to the first floor. Fully carpeted with a uPVC double glazed bay window overlooking the front garden, with a feature gas fire and doors opening out into the dining / dining room. The kitchen has a good range of wall and base units with roll top counters, and a display cabinet. Integrated dishwasher, one and a half bowl sink , extractor fan, and stand alone electric oven. Extended utility room, with upvc door leading to the rear garden, plumbing and electrical points for a washing machine and dryer. The Dining Room / Garden Room, is fully carpeted with patio doors opening out onto the tiled patio area. Separate W.C. With standard flush W.C. The family bathroom comprises a panelled bath with overhead shower, pedestal sink, and heated towel rail, uPVC double glazed opaque glass window.